With Murkmire I read that Slaughterfish are getting a 3x damage buff, though this was from another post here, I didn't go looking for it in the patch notes. 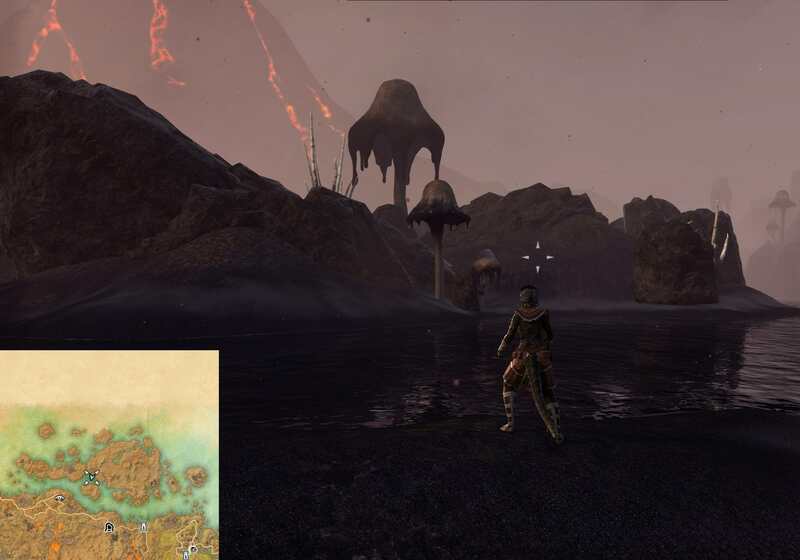 But regardless taking it as truth I realized this may be my last chance at being able to go where no Mikem has gone before, and finally get to the island every Morrowind fan apparently loves. As a disclaimer, I did this using nothing but movement speed buffs and making my mount jump off very high things. No exploiting. The process was fairly simple, the journey perilous. My main kitty failed greatly several times, but the fish didn't, they ate well that day. Not sure if fish can digest fur though. After that I found a guide on Youtube and changed tactics. Swim speed! Time to get on my Healer. Using the power of Racials and Rapids the path seemed plausible, however tricky. Huzzah! I have conquered le fish de slaughter. 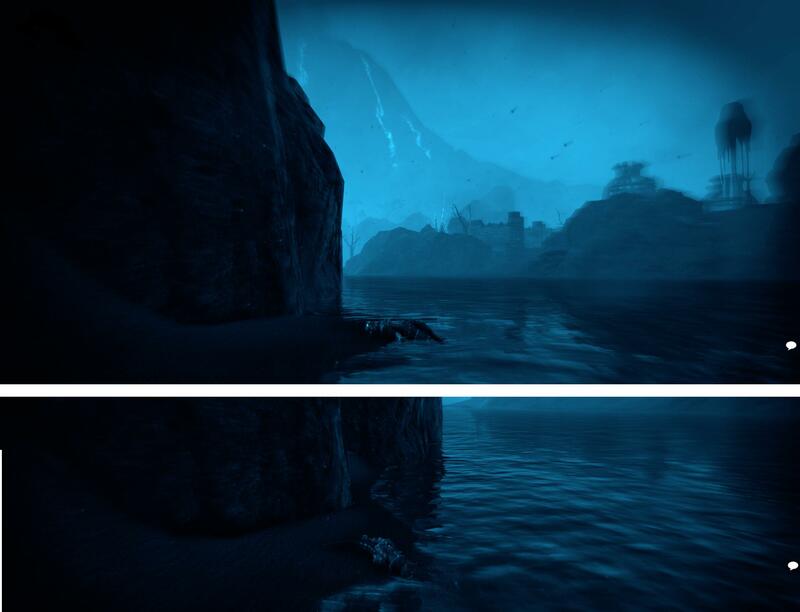 Crossing the Sea of Ghosts to Atmora though may be challenging. The island itself of course was empty, save for the few ruins you could see from the main island. But the journey and arrival was worth it, actually made me feel like I accomplished something for once in a long while, even if there wasn't any tangible reward. Swim Speed won't help me get up Red Mountain though, I've seen people get up there before but no idea how they did it, and that'll be a constant regret. I want to see the crater! Strangely enough yesterday I loaded into a part-Vvardenfell, and rode up the mountain underneath the lava, on a different layer of ground. You did what I wished I could.... I don't have a lot of fast abilities yet.... I just got dead about 10 times. Thanks for the tail (pun intended) and the pics @ArchMikem!